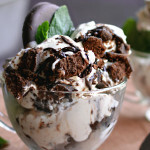 Have you heard of Cookie Monster ice cream? I didn’t know this was a thing until last week when my friend Lindsey texted me like, “OMG it’s national ice cream cone day!” Turns out it wasn’t really National Ice Cream Cone Day. BUT July is National Ice Cream Month, apparently, so ice cream was still necessary. 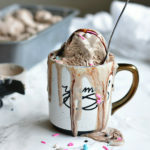 I’d been wanting to try a no-churn ice cream recipe for awhile since it’s literally two ingredients. I have an ice cream maker that I got for free at one of my previous jobs, but I’ve never used it. It’s just always seemed like such a pain? I had almost everything I needed for the no-churn version, so clearly I needed to try it. 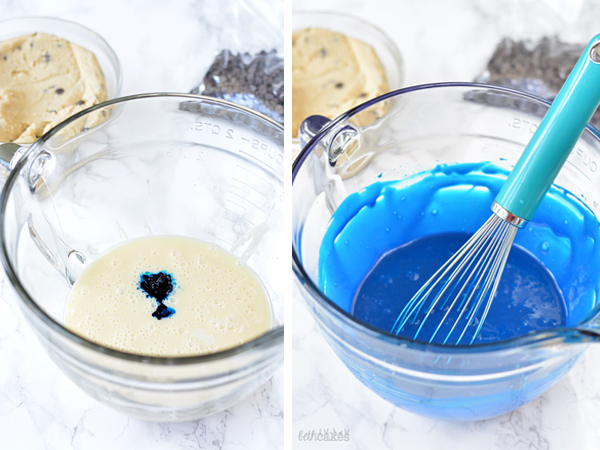 All you have to do is mix up some sweetened condensed milk, blue food coloring, homemade whipped cream, and some eggless cookie dough. 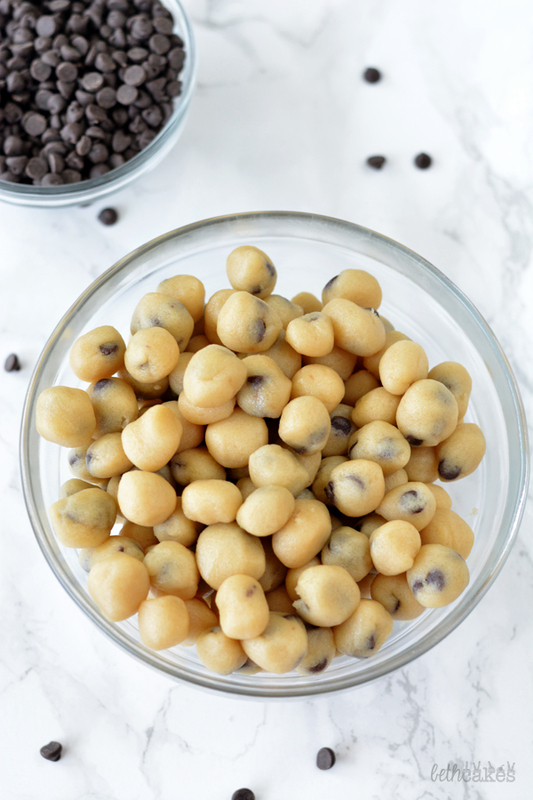 You could probably go with store-bought refrigerated cookie dough if you really wanted to and are cool with that, but the recipe below makes a small batch and it’s pretty easy. I’ve also heard that Cool Whip (instead of whipped cream) works, but I’ve never tried it that way. 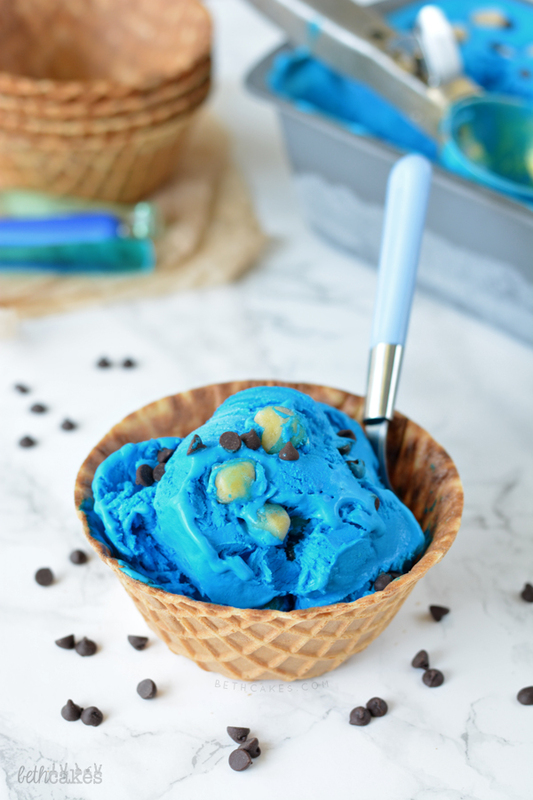 An easy, no-churn, Cookie Monster-themed ice cream! Cream butter on medium-speed with an electric mixer. 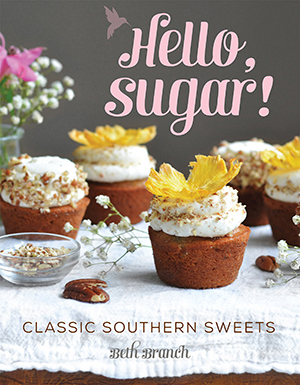 Add both sugars and vanilla extract. Mix until fluffy. Add the salt and flour, mix until completely incorporated. Fold in chocolate chips. Roll the cookie dough into small balls. Cover and store in the refrigerator. 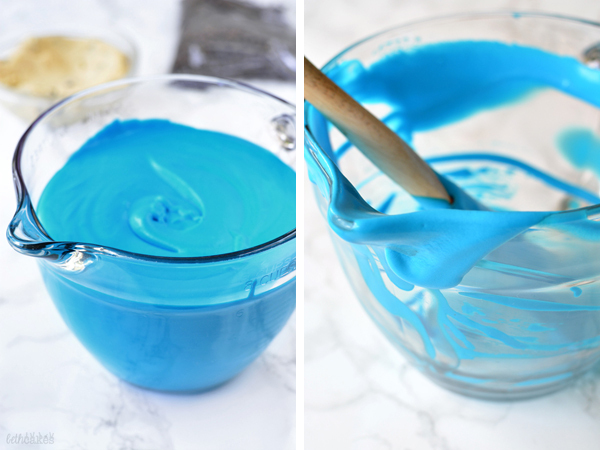 Combine the sweetened condensed milk and two teaspoons of blue gel food coloring. Stir until the food coloring is completely incorporated. 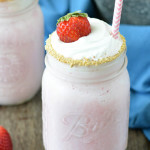 In the bowl of a stand mixer with the whisk attachment (or in a medium sized bowl with a hand-held electric mixer), whipped heavy cream on medium-high speed until stiff peaks form. Fold the whipped cream into the sweetened condensed milk. Fold in ¾ of the cookie dough pieces. Pour the blue mixture into a 9x5 loaf pan. Top with remaining cookie dough and sprinkle with mini chocolate chips. Freeze for at least 6 hours, or overnight. This is such a fun ice cream. Love that deep blue color! I love the colour of this ice cream, it’s so fun!! 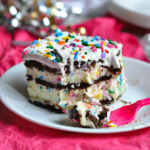 I used to stick ALWAYS with mint chocolate chip but recently I’ve been venturing into the “kid” flavours like birthday cake and I don’t know how I haven’t tried them before!! haha I love the warning that it will turn your mouth blue!! This is just too fun! I’ve never seen anything like this before! OMG this is sooooo cute! Great color. Looks like a fun desert for a party. What a fun treat! Love the pretty blue! 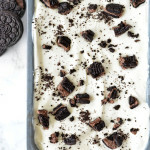 All hail no-churn ice cream! I am totally in love with it as I still don’t have an ice cream maker and yeah, it does kind of seem like a lot of work haha! This is so fun, that colour is amazing!!! 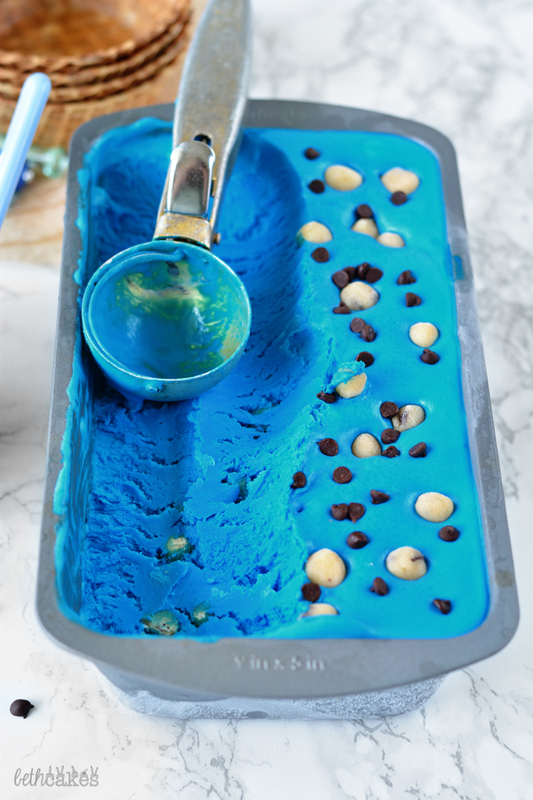 My inner kid wants a triple scoop of this ice cream so very badly. Love the color! Pinned. This is seriously the cutest themed ice cream I’ve ever seen. 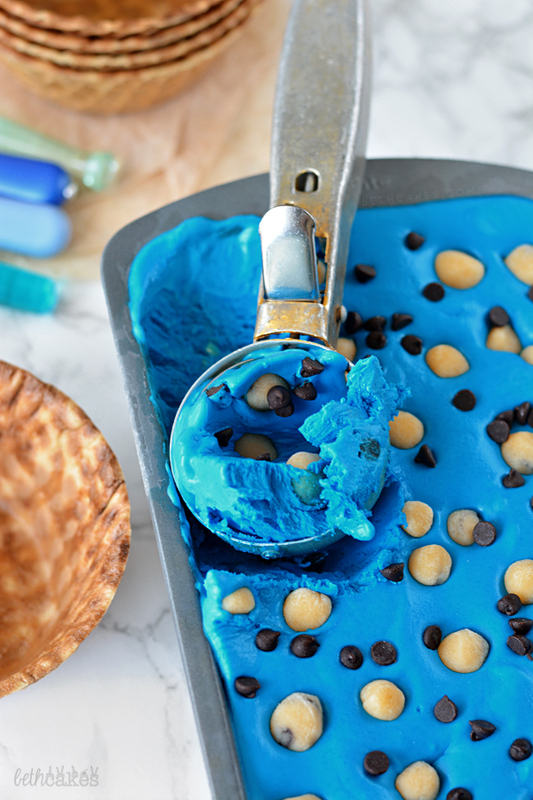 I pretty much want to change the theme of my little guy’s birthday to sesame street just so I can use this ice cream 😉 LOVE that bright color and the fun bits of cookie dough – so, so cute Beth! Hope you have a great weekend! 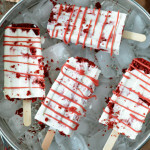 Oh my goodness what a cool ice cream! I had never heard of it either before I saw your post! It’s so fun how can you not want any?? This is seriously the cutest idea! I love the bright blue! I love to bake,cook…everything about kitchen!!!! And I want to learn to make.ice cream too!!! !